I repeated the words before, now again, vintage-inspired watches were amazing this year at SIHH and Baselworld. 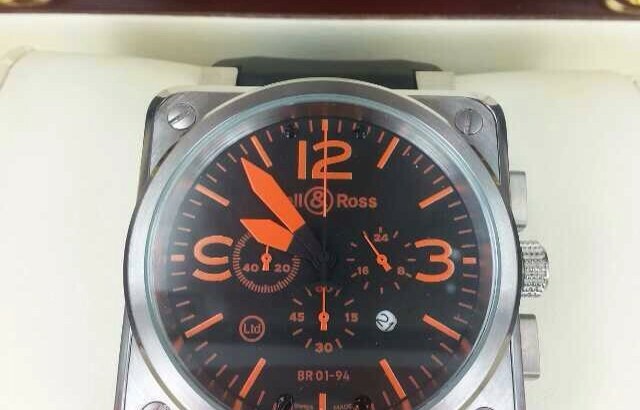 First there was Jaeger-LeCoultre, then Omega, then Oris, and now Bell & Ross. Despite this trend being relatively new to the market, for Bell & Ross this is old news. 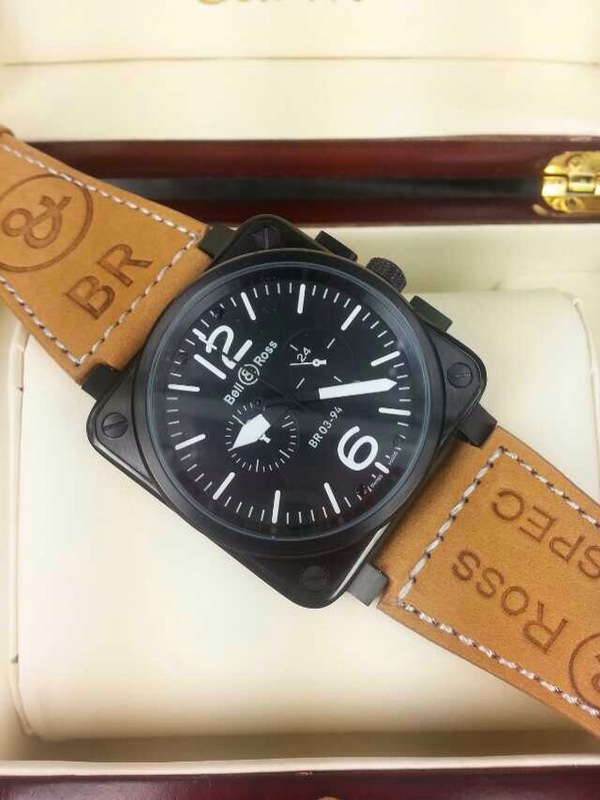 This year at Baselworld, Bell & Ross released the third installment of vintage-inspired watches that they have produced since 1997, shortly after their founding in 1992. While other manufactures threw back to original mid-century designs and faux patina, Bell & Ross produced a fresh line of chronographs and three-hand watches. 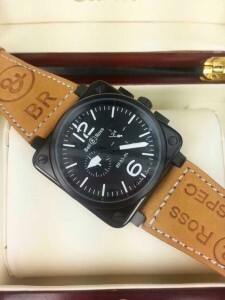 This model is a part of the third generation of vintage-inspired watches released by replica Bell & Ross. To tell the truth, the Bell & Ross has never really done it for me in the past (the square cases from the Marine and Instruments Collections just aren’t my thing), but I was really impressed by the clean lines and well-proportioned case and dial designs that I saw in this third generation of watches. The replica watch in particular really struck me as a perfect entry-level watch with both good presence and strong design. The replica watch features a 38.5mm satin-finished stainless steel case that I think is the Goldilocks of case sizes (suits almost everyone). The case shape is a special typical one, with traditional lugs and minimal bezel, which sits well on the wrist and wears really comfortably. The thing that is so nice about using classic lugs such as these is they curve nicely over your wrist. Another detail I love is the ampersand on the well-sized crown – a small, nice additional bit of graphic punch. The dial is a rich matte black with bright white indexes on the minutes, hours, and Arabic numerals on the quarter hours. Of all things to rave about, my biggest thing is you can actually read this watch, because let’s get real, and none of us are getting any younger. Sometimes I feel like manufacturers tend to overlook the fact that people need to, you know, tell time? And this is not lost on Bell & Ross. The contrast between the dial, the handset and the numerals make this exceptionally legible. It’s no secret I love a date, but sometimes they can look somewhat like an afterthought and this is better integrated than you often see in watches at this price. And all I can say about this one is, at least this one has a black date disk. It’s a respectable movement, which is Bell & Ross’ take on the Sellita, a perfectly respectable automatic movement with a 38-hour power reserve. The 38.5mm case allows for easy wearing and the satin-finished steel makes the watch feel less bling. Overall, it’s just a really great watch. It’s this type of thing that allows for the watch, which I think we can all agree is a great thing. It makes people feel more comfortable on the wrist.